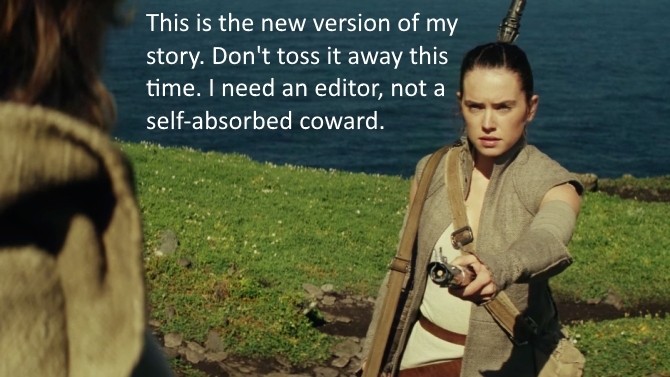 The order of the editor must end? Many years ago, there reigned a mighty King of the nation of Karalis. Karalis was a beautifully large nation consisting of the coasts of Northglenn, where the fishermen headed to sea and the shepherds herded their flocks upon the lush hills. West lay the continuous land of Karalis. Many a traveler had set foot upon the soil of that land, trying to explore and find the end of the vast kingdom. There have been many tales of riches, and of a locked doorway within an oak tree, however, no traveler has returned from their trek westward. Did they find an entrance to another land, or did they simply perish within their search? Many of the citizens concluded that the Ruler must not desire for man to find this place for many years ago of their rebellion, man was exciled from the western lands. Hundreds of years ago, the first and only Ruler of Karalis sent forth a decree unto the whole kingdom. By proclamation of our royal and most honored Majesty, every man, woman, and child must abide and fall under this hereby stated listing. Whoever fails to abide by this ruling shall be exiled to the Isle of Judgment upon the arrival of the King. It is there that they shall remain all the days of their life. You shall serve only the King of this land. Make no image of false lords to serve them. They are but blocks of stone and deserve not your honor. Honor and revere the name of our Majesty, for it is he who rules. The seventh day shall be honored as a day of rest and restoration, by order of the King. Honor your father and mother, for it is they who have raised and trained you. Let not one man be found with another’s blood upon his hands. Let it not be found that any woman or man has committed adultery with one another. Men, women and children, be content with your belongings and do not steal, be it a crust of bread or the crown upon the King’s head. Let the truth be spoken at all times and not a deceitful word spoken. Lastly, let not covetousness remain in this land, for you are all blessed and need not that which another has. It is by these ten rulings that the nation of Karalis grew and became a prosperous society. It is because of the King’s love for his nation that such standards were set. For he knew that if misbehavior was allowed in his kingdom, then men would attack the empire from the inside out, causing discord and using the villagers themselves as instruments of their force. The villagers themselves strictly followed all the ordinances of the King. However, with each passing year, their hearts began to fall further away from him. Their hearts grew into hardened vessels of stone, and their eyes were blinded by their own transgressions. The foresight of the King, sadly, became a reality as evil men and women crept into the village and accomplished their mission to corrupt the hearts of the people and to turn their eyes away from the King. A meadowlark sang joyfully as it flapped through the towering oaks of Shaid. Perching near a cottage settled outside the village, the bird continued its jubilant melody as though calling to a captive to break free. A slender ten-year-old lass hacked away at a piece of timber laid before her. Her brown locks remained tightly secured with a hemp handkerchief. As she labored in the blistering sun, her thoughts wandered to the day that her young life had been robbed of her. A small brown haired child wandered up and down on the rocky seashore of Northglen. Tears streamed down her face as she jumped from one sharp stone to the other. Her blue eyes scanned across the horizon of the Northern Sea, searching. The sun set in the western skies, casting long shadows on the beach where the child cried harder with each passing moment. In the background sat a well worn and seasoned sailor. Curiously, his unpatched eye observed the desperate child. Hearing the voice of a stranger in the distance, the child stopped and turned to the one addressing her. A toothless grin came upon the man as he stood to his feet. For he was no normal sailor–but rather the conniving creature known as Guilt. And he had just found another one of his new bond-children. Julianna’s thoughts were brought back into reality as she continued her task. Though small, her muscles were firm from the daily hard labor, and her skin darkened from the sun’s rays. The hatchet in her hands appeared double her size as she chopped some firewood for her master. Thwock, hack, thwock! The sounds echoed through the forest, as her hardened hand and firm muscles pounded the challenge before her, only to be interrupted by a sound. “Julianna… Julianna, come here, you stupid thing,” bellowed the well-known voice of her tormentor, Guilt. Dropping the ax, she proceeded to run toward her home. She remained oblivious to the thorny pigweed that sliced through her legs as she rushed frantically towards her master. I can’t be slow. The thoughts of freedom dimmed as she entered the log cabin. “W’at took you so long? And you forgot the wood. You worthless thing. Why have I even kept you around?” Guilt towered over the girl, snapping the belt between his hands. Allegory is one of my favorite genres! Is this going to be a novel, or a short story? I really like the way you show her become a slave to guilt/Guilt. I am assuming he was telling the truth about what she did? The main thing that threw me off was a verb tense issue: “Many a traveler had [past tense] set foot upon the soil of that land, trying to explore and find the end of the vast kingdom. There have [present tense] been many tales of riches, and of a locked doorway within an oak tree, however, no traveler has [present tense] returned from their trek westward. Along the same lines, although you said that they had been exiled, the order of events wasn’t completely clear. Were they exiled before the decree was given? Or were they exiled after they fell away from the decree? (Because of the Biblical parallels, I am assuming the former) This may be a case where your familiarity with the Bible will require extra care that your own story is clear even for those with no Biblical knowledge. Also, you may be able to put some of the beginning info in later as backstory. I loved the use of “Thwock, hack, thwock!” I hadn’t read the sound of an axe described that way before, but it was so perfect! You have a great story here. It has the potential to be very powerful! This is a portion of my novel. Thank you for taking the time to read and give your thoughts on it. Your wisdom is very helpful and I will take all of it into consideration. You’re welcome! I really enjoyed reading it. Keep writing! Most people would tell you not to start a story with a background information because it would bore people out of reading. Perhaps if you simplified it and made the first part a smaller introduction? Also, having a flashback within the first two paragraphs of meeting the main character is confusing. Try starting with the flashback portion then popping it to the present part of the tale so us readers can understand easier. LOVE allegory fiction btw, it’s my genre too. In the history portion you first mention a mighty King, then you go on to talk about a Ruler. It wasn’t clear if they were the same or different individuals. In my opinion the rules are too clearly the 10 commandments. First of all, do they need to be listed for this story to progress? If yes, is there a more organic way of stating them so that they are disguised? That way the Christian reader won’t read them and dismiss the words because they already know what you are saying. If you disguise them somehow, it will make the reader have an aha! moment when they finally figure out that the rules are the 10 commandments. It could possible help someone see the commandments in a new light. ‘Many of the citizens concluded that the Ruler must not desire for man to find this place for many years ago of their rebellion, man was exciled from the western lands.’ This sentence is too long and talks about too many things at once. Try chopping it into a few concise sentences so that it’s less confusing. Like Christina mention the tenses in your history section make the timeline unsure. We don’t know what happened when. ‘However, with each passing year, their hearts began to fall further away from him. Their hearts grew into hardened vessels of stone, and their eyes were blinded by their own transgressions.’ You used some very well know Christian phrases here. Not a bad thing, but what about people unfamiliar with these terms? Maybe explain what the phrases mean. Instead of ‘hearts grew into hardened vessels of stone’ try something like ‘their hearts grew cold’ or ‘they no longer cared about the rules.’ It sounds less like religious words and helps a reader relate to what you are saying. ‘The foresight of the King, sadly, became a reality as evil men and women crept into the village and accomplished their mission to corrupt the hearts of the people and to turn their eyes away from the King.’ Where did the evil men and women come from? And, weren’t the people’s hearts already turned away? In the second section who’s perspective are you using? You story sometimes comes across as a narration. If you write it from the girl’s point of view all the way through you will be able to transport your readers into the story instead of just telling us what happens. Have her watching the birds in that first paragraph and wondering what it would like to be free. What was her reaction when she first saw/felt guilt? Over all you’ve got a great idea started. Guilt is a horrible taskmaster. Can’t wait to see where you take it and how the girl gets free. Keep up the good work. Thank you for taking the time to look through this small portion of my writing. I am considering changing the POV within my writing, so thank you for suggesting it. Wow! This is a great beginning to a story. Allegories remind me of “Pilgrim’s Progress,” especially when the names of the characters are their specific traits. I can’t wait to read more. As Stephanie noted, the narrative sounded a little too much like it was being… well… narrated. It’s not always a bad thing, though. Several good books that were written in the 1800’s (and even the early 1900’s) had similar prose. You also never expressly stated who the child was. When Guilt called her, he said, “Julianna,” but that was the only time you mentioned the name. To get more intimate with the character, a name is a good first step. Also, I don’t usually think of slave masters as calling their slaves by their first names. Even if he normally does, you may want to think of a more derogatory title. Instead of calling her stupid, he may call her a “worthless rat,” to emphasize his meanness. I, personally, didn’t get confused with the order of events or verb-tense. “Many a traveler had [past tense] set foot upon the soil of that land, trying to explore and find the end of the vast kingdom. There have been [past tense] many tales of riches, and of a locked doorway within an oak tree, however, no traveler has [present tense] returned from their trek westward.” The present tense verb “has” can also be rewritten “has yet to return…” You could still change “have been” to “had been” or “were” if you really wanted to. Overall, wonderful submission and I’m very excited to find out what happens next. Your insight is very helpful! I agree that Guilt should have another name for Julianna. Thank you for your encouragement! Eliza, thank you for submitting this. You have a good handle on your prose. Your word choices create the appropriate atmosphere. Well done. As another has said, the listing of the ten commandments along with the king’s wishes make the tale an obvious parallel to the Bible, perhaps too obvious. I prefer a subtler approach. Yet, you are in good company with John Bunyan. Many people like that sort of tale. I think you can leave the prologue portion out completely and start right in with Julianna. She is the one readers will care about. With the beginning you have, I think many readers will stop reading before she comes into the story. It’s clear that you are writing omniscient point of view. I think that choice makes readers feel distant. I suggest that you write from Julianna’s POV. Show us what she sees, hears, smells, and thinks. Make it personal and intimate. If you do so, remember that she won’t be thinking about the color of her hair or eyes. She won’t see the man until she hears him and turns. Writing intimate third-person limited will change a lot of choices. I agree with another comment that you should mention her name right away. You mentioned that he looked at her with an unpatched eye. Was the other one patched? “The thoughts of freedom dimmed” – I had to search for any thoughts of freedom until I finally found “the bird continued its jubilant melody as though calling to a captive to break free.” I think that’s way too far removed, and it’s not even clear that Julianna was thinking about this. I think it would be better to omit the bird and start with Julianna right away. Maybe let her hear the bird later and show us her considering its freedom more concretely. “I…” Sobbed the child – Since sobbed is a speaker tag, it should be lower case. Somethin’ about her – I didn’t understand the purpose of this phrase. The hatchet in her hands appeared double her size – hatchets are usually small. You probably mean an ax. Overall, I enjoyed your prose expertise. I would prefer a more intimate point of view and less obvious allegory. Again, others do like such allegory, so obviously that’s up to you. Thank you for your thoughts on this part of my book. I am definitely considering changing the POV. Is the first section a prologue? It’s a bit of an info dump and my interest was lost in the first couple of sentences. Probably not the best way to hook a reader. But that’s my opinion. As for the decree, they’re very similar to the 10 Commandments – maybe there’s a way to change the wording so it isn’t so similar? The one I did like was “Let not one man be found with another’s blood upon his hands,” rather than saying something like “Let no man murder another.” I think that one was good. As for the rest, from reading the other comments, I realized that Julianna was having a flashback when she first met Guilt. That was a bit confusing to read at first because I didn’t realize it was a flashback, unless that section is italicized in the original document. I thought that Julianna was watching the girl as she was talking to Guilt and then being taken by him, and I was wondering “Why isn’t she going to help the little girl or even acknowledge that she was crying and maybe comfort her?”. After that, it took me a second to realize who Julianna was. Maybe mention her first name when you first introduce her. Back to the first section, maybe take it out altogether. The first few paragraph give information, to the point where when I got to the story, I didn’t have many questions that piqued my curiosity. If the beginning part was taken out, then I’d be asking myself a lot more questions and wanting to read more to find the answers. Thank you for your thoughts on this part of my book. I am definitely considering changing the POV. The flashback was italicized within the original. I am sorry that my comment to Bryan was reposted. The flashback was italicized within the original document. Do you think that I should add more information to allow the reader to know that Julianna is having a flashback? I altered the post. The flashback is now italicized. I think italicizing it is sufficient to set it apart. I love your approach to this story. Like others said, it reminds me of Pilgrims Progress (one of my favorite books). I was a little lost and slightly bored with the first few paragraphs. It felt like a bit of an info dump. Maybe try a more subtle approach to giving the back story, a bit here and there. Julianna jumped, realizing she had stopped working. Her past haunted her often. Picking up the ax she returned to her work. Though small, her muscles were firm from the daily hard labor, and her skin darkened from the sun’s rays. I agree that her name should be mentioned sooner. It feels too distant. Have you tried different POV and/or tenses? “The talk of the town is that a child was seen playing with the sails, yester morn. Somethin’ about her You wouldn’t know anything about that, would you?” – What is the purpose of, “Somethin’ about her”? Overall I like the story and would love to read more! Good job! Thank you for giving your thoughts on this. I am extremely thankful for your advice. I actually like the first part, it felt sort of fairy tale-esque, and that is my area of expertise, although I do love allegory as well. That being said, although I love the first part, you do seem to switch style a little bit when you get to Julianna, so if the story is going to be about her it may be better to cut it out and start with Julianna (I agree with others, mention the name sooner), or at least make it shorter. Depending on how long the story will be, you could always add it in later. Perhaps a bard, or traveling story teller could relay it later on in the story (that would also explain the slight difference in style). I personally wasn’t confused by the flashback, but I do thing you could lead into it more smoothly. Just to let the audience know where you’re going with things. I really do love the idea of her being a slave to guilt, and I can’t wait to see what you do with it! Interesting! I really love analogies, and this is by far one of my favorites! Nice story! I love how you made it an analogy, I’ve tried to make analogies before although they’re never really good…. You have an interesting start to a story here. To begin, I would avoid the lengthy description of the setting (info dump) and actually start with her younger self lost on the shore. Give the reader more reason to read on to find out what happens to the girl. With the beginning you have now I had to pause and think over how you mention a few years ago there reigned a mighty king, then you mention hundreds of years ago the first and only ruler. Does this King/Ruler live forever? Later I put together the similarity with God and the ten commandments, but even in the real world, regions had living kings or rulers. You mention “West lay the continuous land of Karalis” So I pictured the Northglenn shoreline to my right and west was never-ending land. But then you had Guilt say, ‘“I heard a rumor that there was a shipwreck westward.” I paused for a while to think of the possible layout of the land. Maybe leave out the word westward to avoid any confusion a reader may have with thinking West is all land, like myself. Sorry if this is being to picky. What did pique my interest in the opening paragraph was the comment about the locked doorway within the Oak tree. That made me think this would be a quest to find the doorway and see where it leads to. Not sure if that is where you take this story. I love how you turn the emotions of guilt into a living being/creature. I feel bad for Julianna. Not sure how the rest of the story goes but avoid having too many important emotional scenes like being lost on the shore and finding out her parents are gone told as a flashback. You want to benefit from those scenes to pull the reader deeper into your story. Especially in the start of a story. You don’t want the reader to get confused early on or they may stop reading. I don’t know much about prologues but if you want to include history what if you put the section starting — Hundreds of years ago, the first and only Ruler of Karalis sent forth a decree unto the whole kingdom….including the list of 10 rules before chapter 1. That way we understand there are rules that were being followed for centuries but we start chapter 1 diving right into the action. Regarding individual words, you wrote Northglenn and Northglen. You also mention “hatchet” then “ax”. The size described should be an “ax or axe”. Spelling varies. And in her flashback Guilt said “Call me Master”, and then when she comes back from her thoughts she says “yes, sir!” I expected her to say yes, Master. She also calls him Guilt later on. Overall it sounds like it could lead to something very interesting. I could visualize your story very well based on your description, but try not to confuse the reader with so much setting and history right in the beginning. There are ways to let it creep into the story as you tell it. And tell us important information as action not flashback. . Thanks for the story Eliza. Good luck! Your feedback is extremely helpful!!! Thank you!